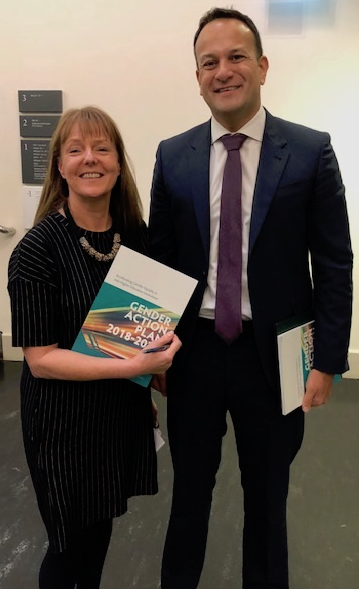 The Irish Federation of University Teachers (IFUT) has welcomed recommendations in the ‘Gender Action Plan 2018 - 2020’ published today (Monday November 12th, 2018) and launched by An Taoiseach, Leo Varadkar, and Minister for Higher Education, Mary Mitchell-O’Connor. “The proposal should be seen as a gender equality, not a specifically women’s, issue. Indeed there are cases of discrimination against men also on IFUT’s books,” she said. This legislation should be accompanied by a new approach of seeking to resolve gender and age discrimination issues through discourse and normal industrial relations channels, to avoid the need for highly costly legal cases, which is a waste of tax payers’ money and student fees at university level” Joan Donegan said. Live horse and you’ll get grass!